(Chicago, IL) – Now in its second year, the SIGGRAPH Mobile program presents the latest advances in mobile technologies, graphics, and apps. In talks, workshops, panels, and demonstrations, mobile innovators from around the world explore powerful new graphics techniques, game production for handheld devices, visualizations with augmented reality, and how mobile games can help save the world's rainforests. According to Holmquist, some of the interesting application areas include mobile games for positive change, augmented reality for museums, and new ways to take digital photographs. There will also be workshops and talks about how to make mobile graphics and apps across many platforms. Plus, there will be a theatre group that uses iPads in live performances and a toy robot anyone can control with a mobile phone in addition to a hands-on, interactive area. Sam Martin, Geomerics Ltd.; Marius Bjørge, Sandeep Kakarlapudi, Jan-Harald Fredriksen, ARM Holdings, plc. This talk identifies and explores potential solutions to the challenges that exist in bringing AAA-quality graphics to mobile, including the new features exposed by OpenGL ES 3.0, the trend to high-resolution screens, and a novel "on chip" deferred-rendering technique for Mali GPUs. This workshop teaches the basics to get started quickly with your visual-computing project on Android using native C++ code, from setting up tools to running your first native application, and it dives into deeper topics, including computer vision with OpenCV, camera control on FCam, and performance tuning. PUSH Physical Theatre, a Rochester-based group, added iPads to their traditional tools of magic, mime, and movement in the performance of Red Ball. They added five iPads to the mix, performing with graphics created by Marla Schweppe. 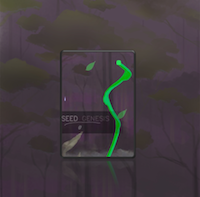 Team Seed believes that mobile games provide the level of immersion required to renew society's interest in protecting our rainforests. Jonathan Carroll, Fabrizio Polo, Orbotix, Inc. The moving robot “fiducial” takes augmented reality on mobile devices to an entirely new level. A collaborative project involving students and faculty in the School of Photography and the 3D Digital Design Department of the School of Design at Rochester Institute of Technology with the curators of the Memorial Art Gallery (MAG) in Rochester created an augmented-reality experience using paintings from the MAG's permanent collection.